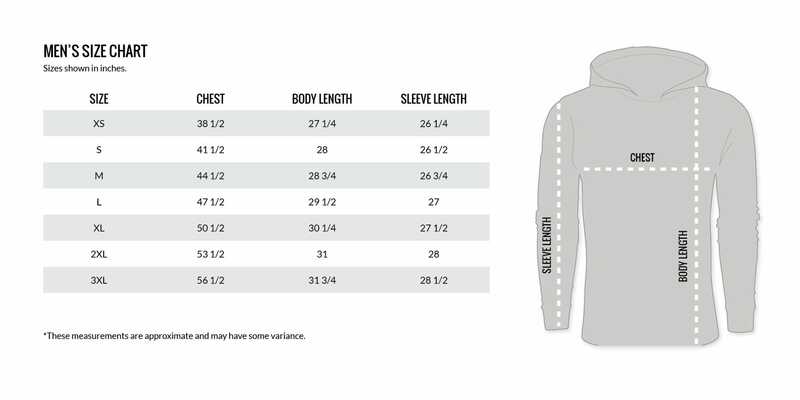 You need a hoodie - the most versatile garment on the planet. Because let's face it, even pants fall under the "optional" category around the house. You don't just need any hoodie. If we had to guess, you're reading this while an army of useless hoodies you never wear eagerly plots your significant other's next "you have too much stuff in your closet" outburst, right? Despite their cool designs and claims of "ultra-comfy feel", none of them quite make the cut to be anything more than a lawn-mowing, oil-changing, weight-room-going, one-step-above-rag-ing garment, just taking up space for the rest of your clothes. That's where we come in. You deserve a hoodie that looks good, feels great, and fits like it was made for you and only you. You deserve - The All Day Hoodie. Cut true to size, and true to length, it's made to fit your body rather than a cardboard box. Utilizing some fancy fabrics that are boring to talk about but amazing as $#!+ to wear, it's also the softest and strongest thing to ever grace the human body since a cuddly Saint Bernard (less slobber, though). So go ahead - wear it to the bar, wear it to work - Heck - wear it to a wedding! You're gonna look and feel so damn good doing it, everyone else will seem under-dressed. It's your hoodie, Vortex Nation. Made right, made to last, made for you.